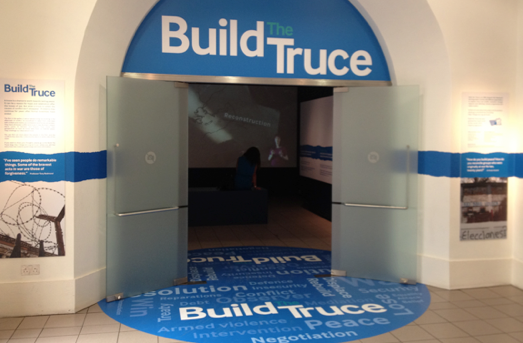 Build The Truce is now up and running at Imperial War Musuem North and Imperial War Museum London. Using interviews with civilians, ex-combatants and aid workers, the film explores the prospects of peace in post-war areas such as Kosovo, Northern Ireland and Sierra Leone. The 360 degree projection at IWM North shows in the Main Exhibition Space at 2pm every day and runs in a loop all day at IWM London.